Wallow in the mysterious and fruity fragrance of the Bomb Cosmetics Strange Fruit Bath Mallow. It is infused with Nectarine and Cilantro, which is a strange fruit indeed! Experience it's mysterious fruity luxuriousness. Enriched with pure butters, this bath mallow effectively conditions and nourishes your skin. Infused with Nectarine and Cilantro that leaves behind a trail of cheerful, fruity fragrances. Leaves behind a delicate fragrance that makes you feel fresh and pretty throughout the day. Additional Information: Bomb Cosmetics are committed to making luxurious bath and skincare products all using natural ingredients. All the ingredients in their products have been extracted from plants, flowers and fruits, and have the power to soothe your soul and enhance your mood. Bomb Cosmetics pride themselves in making bathing products witha perfect blend of Shea Butter and Essential oils, that not only smell and feel wonderful on your skin, but also look beautiful and are made completely by hand! Explore the entire range of Bath Salts available on Nykaa. 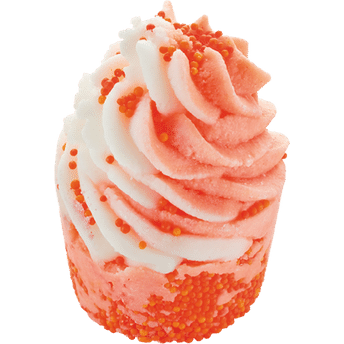 Shop more Bomb Cosmetics products here.You can browse through the complete world of Bomb Cosmetics Bath Salts .